Got any weekend plans? You do now! 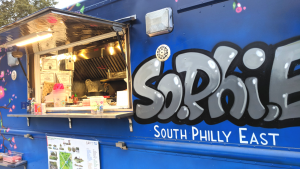 Come grab a cold brew and some Indonesian eats at Love City Brewing Co. with our SopHiE Food truck and SoPhiE chef of the night, Chef Yeni Lie. Follow @sophiefoodtruck on Instagram and Twitter to stay connected. See fun behind the scenes and get updates on where SoPhiE might be next!